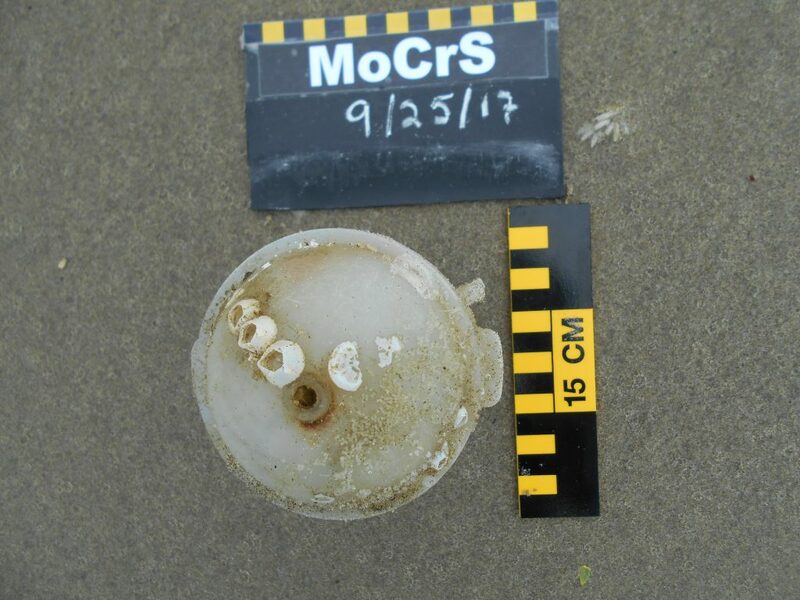 COASSTer Rick found this biofouled item during his survey of Moore Creek South (Oregon) in September. 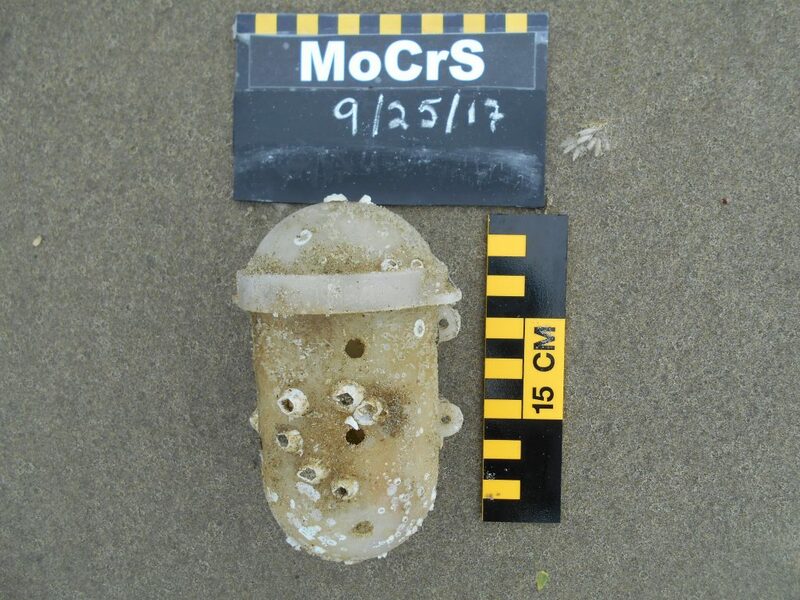 If you know what it is, share your thoughts in the comments or by e-mailing coasst@uw.edu. This entry was posted in Uncategorized on 4. October 2017 by coasst. 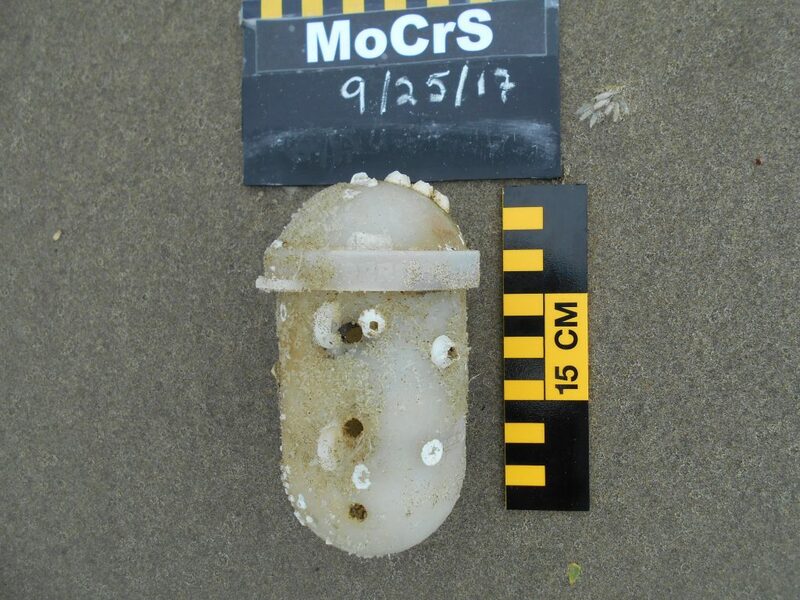 We found one of those on Old Home Beach (Trinidad Lighthouse South) this fall as well.Ours also had long metal rod passing through it, with a hook on one end. Definitely crab pots offshore! Dungeness Crab bait jar, they are placed inside the crab pot with bait (usually squid). Unfortunately many wash ashore. Interesting! It reminds me of a bait container that you would secure in a cab or prawn pot… But I’ve never seen one exactly that shape.